Derek Osborne Builders is a premiere custom home builder and remodeling company located in Statesville NC, building finely crafted homes in Statesville, Mooresville, Troutman, Lake Norman and surrounding areas in Iredell County, NC. Luxury homes built by Derek Osborne can be found throughout Iredell County, NC in premier custom home communities, golf communities and waterfront properties such as Shannon Acres, Wildlife Bay, Riverwalk and Dobbs Valley. Derek Osborne is a licensed NC General Contractor and has an impeccable reputation for the finest in quality and superior workmanship. Whether you’re building a brand-new home, adding a room or remodeling an existing area, your project should be a fun experience. 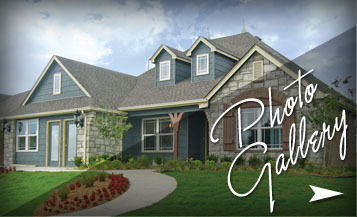 When you partner with Derek Osborne Builders, we’ll ensure your experience is seamless and carefree. We encourage you to explore our web site and discover all the reasons Derek Osborne Builders stands out from other home builders! We invite you to view our Photo Gallery to the see the quality and elegance first hand. Contact Us if you have any questions regarding the construction of a custom home, or having your home remodeled. From the moment you choose your lot, to the time you take residence of your new home, each detail of construction is carefully completed. A home that meets all your needs, a home you can enjoy for a lifetime.